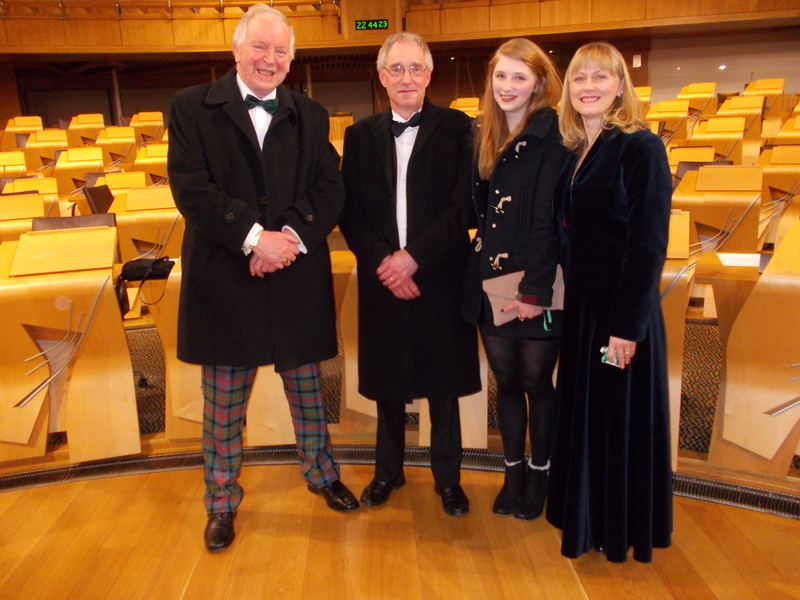 Over 50 Scotland-based consuls-general joined MSPs, including Dunfermline’s Bill Walker, in the Scottish Parliament for the annual Consular Corps Burns Supper last Wednesday. That the Parliament applauds Andy Murray on reaching the Australian Open Tennis men’s final in Melbourne Park, where he played the world’s number one seed, Novak “iron man” Djokovic; notes that this was Andy’s third Australian Open and sixth Grand Slam final; considers his performance in the final and his previous five-set victory over Roger Federer in the semi-final to be a very promising start to 2013, following on from what it considers to be his incredible year of tennis in 2012, which saw him win gold in the men’s singles at the London Olympics and win the US Open; considers Andy Murray to be an excellent role model for all Scots sporting participants; notes that Andy is currently seeded number three in the world, and wishes him many more successes in what it sees as his outstanding career. That the Parliament commends Joan Newbigging on her voluntary work with Educate the Kids, a charity founded in 1998, which, it understands, believes that education is the key to ensuring that children in Africa have their needs met and their rights upheld; understands that Ms Newbigging volunteered to work for three months at a school in Kenya and has recently published a book, The Christmas Child, which has so far raised £240 for Educate the Kids, and wishes Educate the Kids and Ms Newbigging further success. Dunfermline’s McLean Primary School and Nursery have passed a recent Scottish Government inspection, which concluded that the children are happy, motivated and are learning and achieving well in and beyond the classroom. 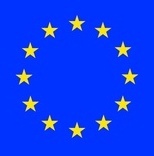 That the Parliament welcomes the opinion of Professor David Scheffer, the Harvard and Oxford-educated American international lawyer and academic, that both Scotland and the rest of the UK will become “co-equal successor states” to the EU in the event of Scotland regaining independence; considers the contributions of such leading authorities as Professor Scheffer, whose posts have included Special Advisor to Madeleine Albright at the United Nations, first US Ambassador-at-large for War Crimes Issues under Bill Clinton’s administration and lecturer at North Western University School of Law, to be extremely valuable in helping the Scottish electorate reach an informed decision in the run-up to the independence referendum; hopes that the professor’s contribution will both reassure and be welcomed by those who are concerned about whether or not Scotland would have to reapply to join the EU after independence, and considers the main threat to Scotland’s continuing membership of the EU to come from Westminster, where factions of MPs on both the Conservative and Labour benches are reported to be pressing their leaders for an in-out EU referendum for the UK. Scottish MSPs have joined forces with Focus Scotland Magazine to make the promotion of community-based volunteering their New Year’s Resolution. 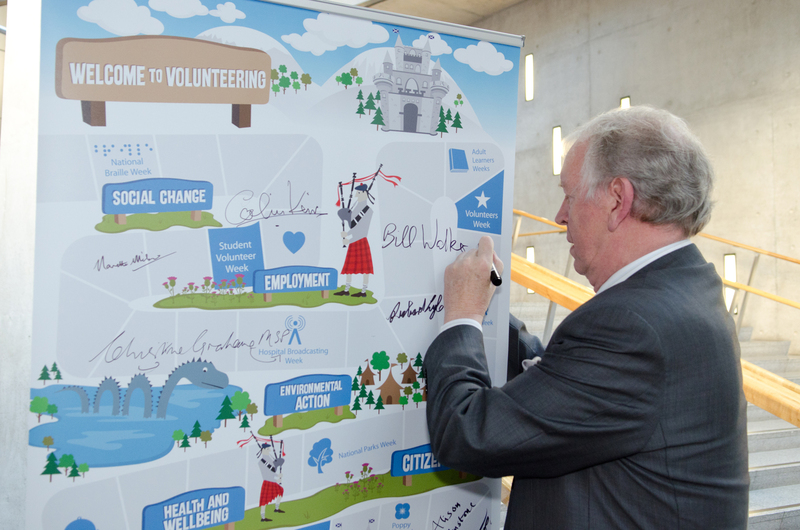 The MSPs pledged their support and signed banners promoting the campaign, which aims to get the Scottish public embarking on a volunteering journey in 2013. 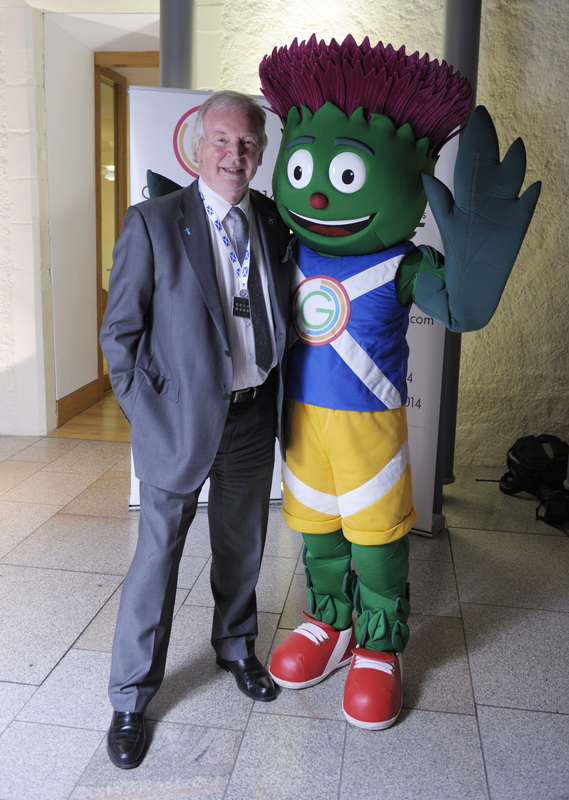 Focus Scotland hopes to build on the positive image of volunteering provided by last year’s summer of Games. They want the campaign to remind individuals of the impact they can have when volunteering at community level. 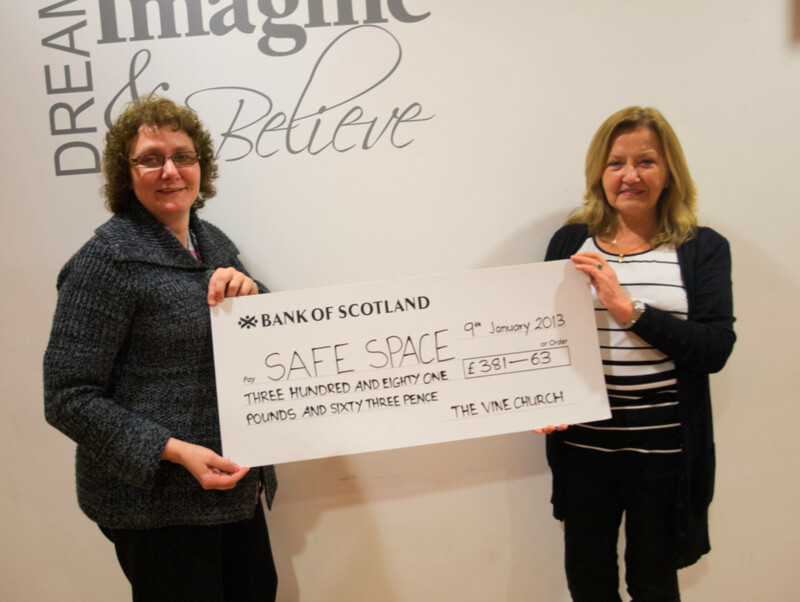 Local MSP Bill Walker has congratulated Dunfermline’s Vine Church on a successful Christmas Craft Night, which raised £381.63 for the charity Safe Space. The event, which took place on 12th December, saw over 60 visitors learn new ways of making Christmas decorations and gifts. Visitors watched a demonstration before attempting their own hands at projects. The crafts were made from recycled or household materials and included book sculpture, wire work, and tree decorations made from fabrics, homemade clay and straw. Transport Scotland has released information detailing how winter service is delivered on the trunk road and motorway network. The “Winter Preparedness Roads Information Sheet” also outlines the intelligence gathering and decision-making processes, contains information on the innovative technology Transport Scotland uses, and provides links to online resources that can help people plan their journeys. On an MSP visit to Duloch Primary School, along with regional colleagues Willie Rennie and Claire Baker, I was impressed by the enthusiasm and awareness of the primary 4 and 5 pupils. Set with the task of founding new political parties, the children came up with names, objectives, manifestos and even rosettes. They asked wide-ranging questions during a lively Q&A session, with environmental issues a recurrent theme. I have visited a good number of schools over the last year, where the pupils have ranged in age and in the level of support they needed, and have invariably found the pupils to have a lively interest in politics. It is great to see them so engaged, particularly in times of general voter apathy. In a few short years, it will be their time to play a productive role in making our society a better one. Many constituents have contacted me with concerns about fracking, the hydraulic fracturing of underground shale rock to release gas. This procedure, though known for decades, has come to prominence following massive exploitation in America, which has seen gas released for use at greatly reduced prices. Masses of gas, reasonably accessible at current economic costs, lie underground throughout the UK. When used to generate electricity, shale gas produces less CO2 emissions than coal. But potential downsides of fracking include the risk of interfering with the underground water-table on which we depend. Also, explosive charges used underground in Lancashire caused two minor tremors. Another concern is that funding could be diverted from long-term development of sustainable and renewable natural energy sources such as wind and marine. I believe there is a case for further practical evaluation of shale gas extraction but am opposed to public funding of fracking in the form of tax allowances or price subsidies levied on customers, as happens currently with windfarms. Also, since Scotland has a wealth of alternatives for long-term energy generation, fracking must be found to be at least as safe as other energy sources. I recently met up with the new Chief Constable of Scotland, Stephen House, at Tulliallan Castle, where the restructured single national police force has its interim headquarters. As a supporter of making Tulliallan the permanent HQ, I was happy to note that the Chief Constable does not seem opposed to the possibility, though the police service will have to weigh up the pros and cons of all alternatives. Tulliallan is a convenient central location with an established Police College and with many facilities already in place, but the cost of installing a modern command and control centre will likely be key to the final decision. That the Parliament commends the Carnegie UK Trust on 100 years of working to improve the lives and wellbeing of people throughout the UK and Ireland as it celebrates its centenary throughout 2013; understands that, since its founding by Andrew Carnegie, the Dunfermline-born businessman and philanthropist, the trust has awarded extensive grants, created and supported new organisations and commissioned many reports on major social issues; wishes the trust success with the range of events and projects that will mark its centenary, including a book and film charting the trust’s work, the launching of a centenary website and online searchable archive and the supporting of musical initiatives, and looks forward to welcoming the Carnegie UK Trust to the Parliament in October 2013 for the Carnegie Medal of Philanthropy.